Is it better to run on a treadmill or on the pavement? This is a common question people ask ever since treadmill has been invented, and the truth is there are pros and cons to both. Here some of the pros and cons of treadmill training versus running outside on a trail. The question of difficulty level arises when it comes to running outdoors versus indoors. People assume that running outdoors is much harder than conquering miles on a treadmill. However, research shows that setting the treadmill on one percent incline accurately gives the same difficulty level of running outdoors. Therefore, it’s just as effective as long as you add a bit of incline. Some of the more advanced treadmills have the ability to let you create your own course, which you can use to simulate the exact course you are training for. Even if you are not training for a race, you can switch your path environment to make you feel as if you’re running in an exotic trail. Running on a treadmill also saves you from the worry of temperature, terrain, and weather issues, which could mean if you despise the excruciatingly hot weather of Singapore. The cushioned belt is much more forgiving than hard cement. 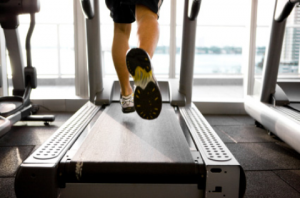 Training on a treadmill help reduce the impact on your feet’s joints and the body as a whole. This can be especially helpful when coming back from an injury. There’s no doubt about it—running outside is boring. Even if you have the best workout playlist or you’re watching TV, it’s just too easy to keep on looking that clock in front of you—and see that it has only been a minute since you start running. Because there’s a machine powering the belt you’re running onto, your muscle works differently when running on a treadmill. You use your quads to push off, but your hamstrings aren’t working as much as they would. When outside, you rely so much on your hamstrings to do every stride and lift your legs behind you. 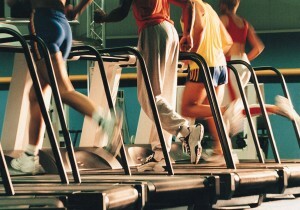 While treadmill is good for your joints, you don’t get the benefit of running on uneven trail. Even if the ground outside feels flat for you, you know that it’s never as flat as the treadmill. Running outside is beneficial in terms of practicing your agility as the constant adjustment to the environment is great for balance and coordination and help improve your ability to perform everyday activities. The bottom line is that if you want to be obedient with your fitness practice, it’s better to go for a treadmill. It will keep you motivated and encourage you not to skip your workout sessions. On the other hand, if you’re training for a big race and would want to improve your agility, running outdoors is your best bet.